Rear View Camera, Air Conditioning, Steering Wheel Audio Control, Bluetooth, Cruise Control! 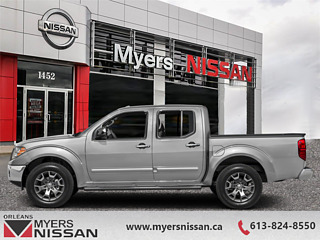 Keeping its roots of a small size work truck, this Nissan Frontier offers more than you expect at its approachable price. 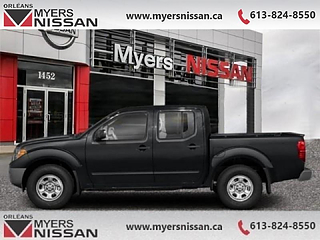 This magnetic black crew cab 4X4 pickup has an automatic transmission and is powered by a 261HP 4.0L V6 Cylinder Engine. 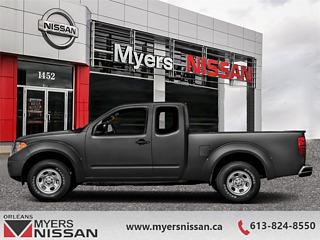 Our Frontier's trim level is Crew Cab Midnight Edition Long Bed 4x4 Auto. This Nissan Frontier Midnight Edition adds some awesome styling with all black wheels, a lot of glossy black exterior details, and black step rails to the SV trim's aluminum wheels, remote keyless entry, power locks and windows, heated power side mirrors, 7 inch color display, hands free texting assistant, rear view camera, Bluetooth hands free phone system and audio streaming, cruise control, second row under seat storage, AM/FM audio with 4 speakers, USB and aux inputs, and steering wheel mounted audio and cruise controls. This vehicle has been upgraded with the following features: Rear View Camera, Air Conditioning, Steering Wheel Audio Control, Bluetooth, Cruise Control, Power Windows, Power Doors. 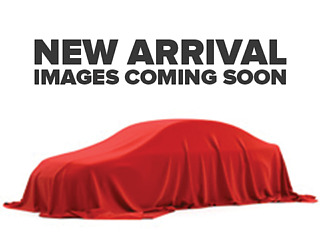 Buy this vehicle now for the lowest bi-weekly payment of $238.82 with $0 down for 84 months @ 3.50% APR O.A.C. ( Plus applicable taxes - and licensing fees ). Incentives expire 2019-04-30. See dealer for details.